My semi-regular series of recording excerpts. Your mission: usually to identify the artist. 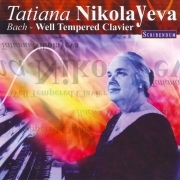 Bach‘s Prelude and Fugue in b-flat minor from Well-Tempered Clavier, Book 1, played by Tatiana Nikolayeva. Originally released by Melodiya, reissued in one of Scribendum’s superb Melodiya archival releases remastered at Abbey Road Studios. Mystery Track: Who Is Conducting? Who is conducting this 78-era recording of Brahms‘s Hungarian Dance No.1? This one’s for you, Jessica Duchen! Find the answer here at 1500 EST on June 12. The final section of Tchaikovsky’s 1812 Overture, played by the USSR Gostelradio Orchestra conducted by the much-underrated Konstantin Ivanov. The recording was made in 1965, and is dubbed from a 15ips 1/4 inch tape in my private archive. And about that little “editorial change” to the coda: during the Soviet era, the ‘Gloria’ theme from Glinka’s A Life for the Tsar replaced the pretty-much-treasonous God Save the Tsar. Mystery Track: Name That Artist! A little bombast for the first mystery clip in some time: the final section of Tchaikovsky’s 1812 Overture. 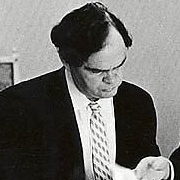 Your mission: identify the conductor. One helpful clue: there’s something, well, a little different about the coda. Answer will be published at 1500 EST Friday.